Get professional help with password policies or the move to password elimination with secure cards or RFID tags. KORVUE's security features are simply unmatched. No system compares to the level of security customization, warning, and theft deterrent and monitoring systems KORVUE has. If you've compared it to competing solutions, then it's something you already know. KORVUE's vast security architecture provides you with the peace-of-mind you need when running a business. KORVUE's layered security includes hundreds options that are customizable per employee or template. When properly configured, KORVUE can easily enforce your business policies. KORVUE also extends its employee security by offering the latest advancement: RFID tags; as well as popular password replacement access cards for employees and administrators. 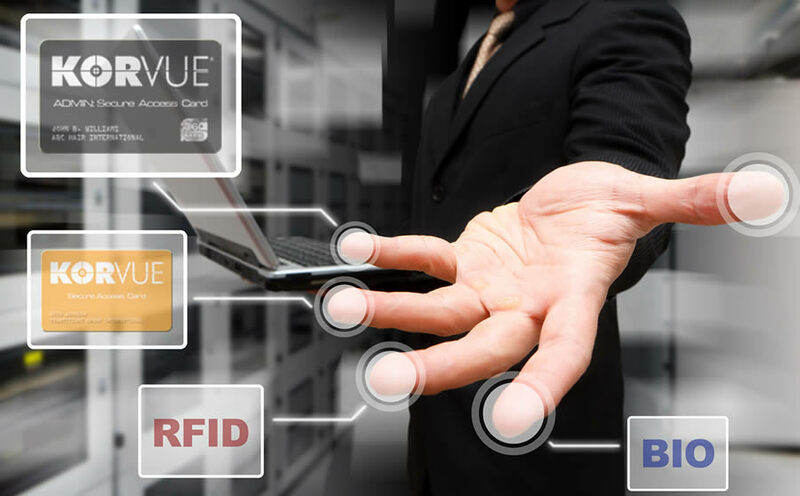 While RFID tags and access cards are not required, they are commonly implemented to enforce the powerful security of KORVUE. We feel password replacement is a must, because your security settings are only as good as the secrecy of an employee's password. KORVUE also enforces security at other levels, such as global security, location security, and station security. The combination of these security layers makes KORVUE a virtual fortress. In addition to KORVUE's unsurpassable security, there is an advanced theft deterrent system that prevents many commonly known theft attempts automatically, while also scanning for malicious and suspicious activities. These activities are reported to the administrator so that they may be researched. Verasoft Global Services can help you take full advantage of KORVUE's security and theft prevention mechanisms. Security is a vital part of your company's ability to reach its profit potential and that's why we strongly suggest working with our security professionals.